Marketers are on notice that the average attention span of consumers is around 8 seconds. This fact signals the limited time during which you can capture attention, interest, and then engagement from a prospect. It also points to why increased interaction is a major marketing trend in 2017. The following is a look at several ways that you can integrate more interaction into your healthcare marketing to achieve stronger results. People perform more searches for healthcare information on their mobile devices than for any other topic. This fact indicates the reliance of consumers on digital platforms and resources for information on symptoms or health management. One of the ways to make your practice more available and accessible is to stir up social media conversations by leveraging hashtags in your social messaging. Focus on a particular service or condition in which you specialize, and incorporate a memorable and effective hashtag in your post. Include a call-to-action that directs people to engage in the conversation. The increased capabilities of embedding interactive features are among the many reasons that email marketing has been revitalized in recent years. HTML5 videos have become popular. These videos enhance email visualization and are more appealing to a subscriber who would rather watch a message than read it. You could embed videos of employees sharing their experiences on the job, or demonstrate positive benefits of your facility. Other popular interactive features include social media feeds, infographics with clickable elements, scratch and flip, animated GIFs, and menus. People are motivated to take action when it benefits them. To increase message engagement, incentivize through contests and rewards. You could invite people to enter a contest by including a hashtag in a social media message, by commenting on a blog post or by completing various entry requirements through a platform like RaffleCopter. Social media users enjoy their preferred tools because of the opportunity to engage others. You can leverage this natural interest by utilizing tools that encourage sharing. 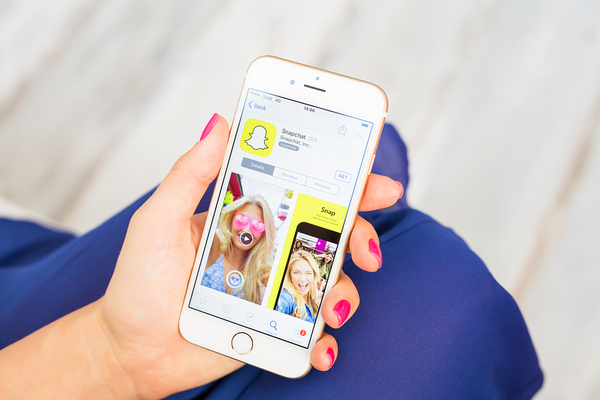 Snapchat filters are affordable and popular among businesses of all sizes and budgets because of the authentic way they encourage interaction and sharing. People enjoy sharing selfies and snapshots with cool filter backgrounds, even when the filter is branded. Healthcare marketers can use filters to align with prominent health events, such as breast cancer awareness in October. When you get prospects to interact with your marketing content, you tend to achieve higher brand awareness, better response rates and return on investment, and increased sharing. All of these are advantageous for your healthcare brand. As a digital firm that specializes in healthcare marketing, Response Mine Health can help you get the most out of your interactive marketing efforts—contact us today to learn how.